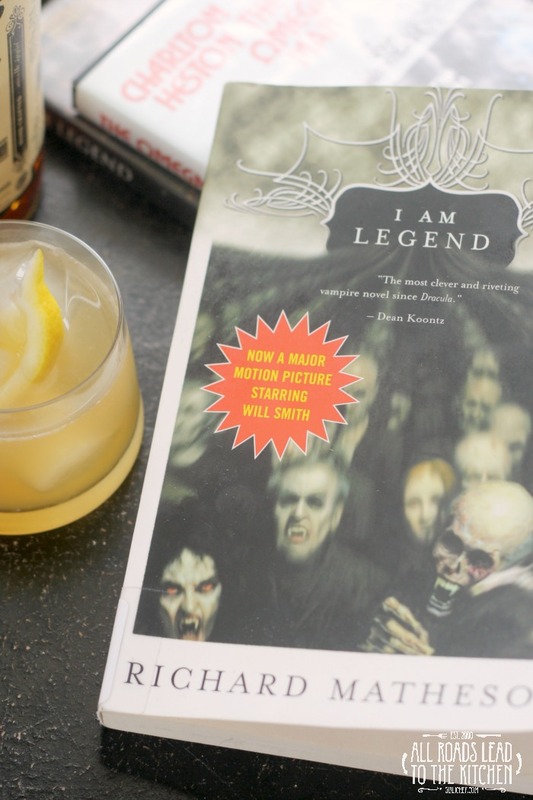 It's time for another vampire book and a movie challenge, and this month Kimberly has chosen the book I Am Legend by Richard Matheson and the movie The Omega Man to discuss. Want to know the crazy thing? I didn't even realize that I Am Legend was about vampires. We own the newest movie interpretation (I Am Legend starring Will Smith), but for some reason...and I'm guessing it has a lot to do with the times...I equated it more with the zombie apocalypse. This is just one reason that I'm joining Kimberly on her venture—new perspective. I also didn't realize that the movie was based on a book by the same name (apparently I was not paying attention to the credits) that was first published in 1954. There were actually two movies based on the book the pre-date the Will Smith version. The first being a 60's film starring Vincent Price called The Last Man on Earth (which I haven't seen yet) and the 70's film starring Charlton Heston called The Omega Man. Here's the thing—The Omega Man has this major cult following. Personally, I hated it. It was SO boring and it totally strayed from the brilliance of the book. Plus, Charlton Heston grossed me out beyond compare. Ick. I just want to leave it at that while saying that I Am Legend IS without a doubt a vampire novel...and The Omega Man did not contain vampires...even the zombie-esque kind that the Will-Smith-I-Am-Legend contained. I can see where the latest movie drew its inspiration from (but for the most part, it took a different direction). So, the good stuff. I Am Legend is super short at 170 pages. Robert Neville is the last living man on Earth. Everybody else has become one of two kinds of vampires: living vampires or true vampires. By day he stocks his supplies, explores, tends his large crop of garlic, hunts and destroys vampire nests, does research and experiments, and goes, understandably, a bit crazy. Night time means it's time to batten down the hatches and deal with the taunts outside his door from his friend turned nemesis, Ben Cortman. Trying desperately to understand vampirism in hopes that he can develop a cure, Neville reads everything he can get his hands on about "their avoidance of garlic, their death by stake, their reputed fear of crosses, their supposed dread of mirrors", plus one I'd never heard of, their aversion to running water. No spoilers today. I won't be revealing the outcome...but I will tell you that it does not end the same way as the movie I Am Legend. As can probably be expected in a story about a world where modern conveniences (of the time) no longer abound, food plays a big roll. Neville has a freezer filled with frozen meats, vegetables, breads, pastries, fruit, and even ice cream. There are all sorts of garlic references, as well as leeks, onions, shallots, and chives...which come about when he is studying the effects of alliums on vampires. There is also mention of lamb chops, string peas, orange sherbet, tomato juice, canned meat, eggs, french toast, pancakes, coffee, steak, biscuits, and dog food. But whisky is actually his constant companion through the majority of the story. 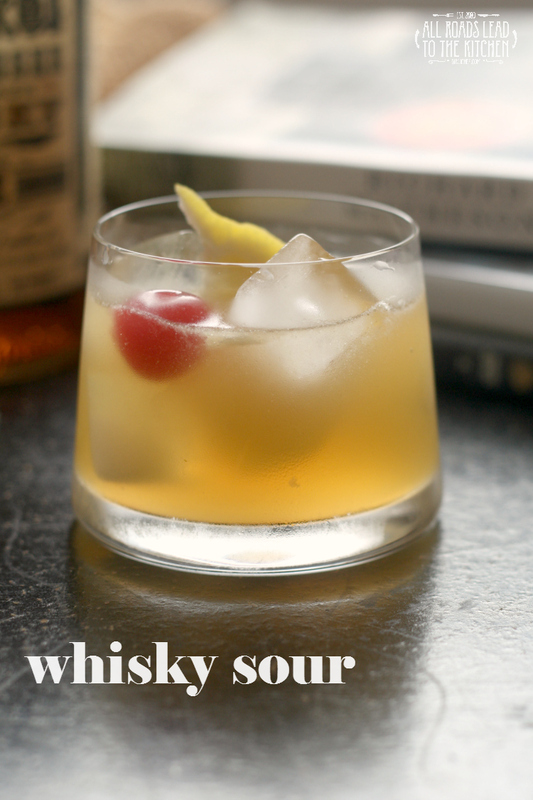 He usually drinks it neat, but in one instance he made himself a whisky and soda, and in another, a whisky sour. 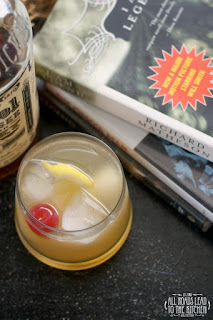 I'm a fan of a good whisky sour, so that's what I made to represent the book. And aside from the main character's name being the same, the fact that they both drank copious amounts of whisky is about the only other thing that our chosen book and movie this month have in common. "The strength of the vampire is that no one will believe in him." 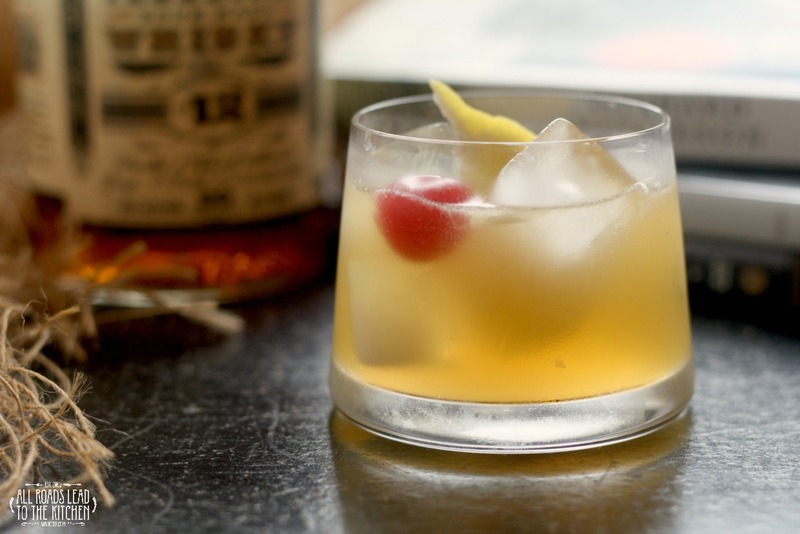 A classic whisky cocktail made with whisky, lemon juice, and simple syrup. 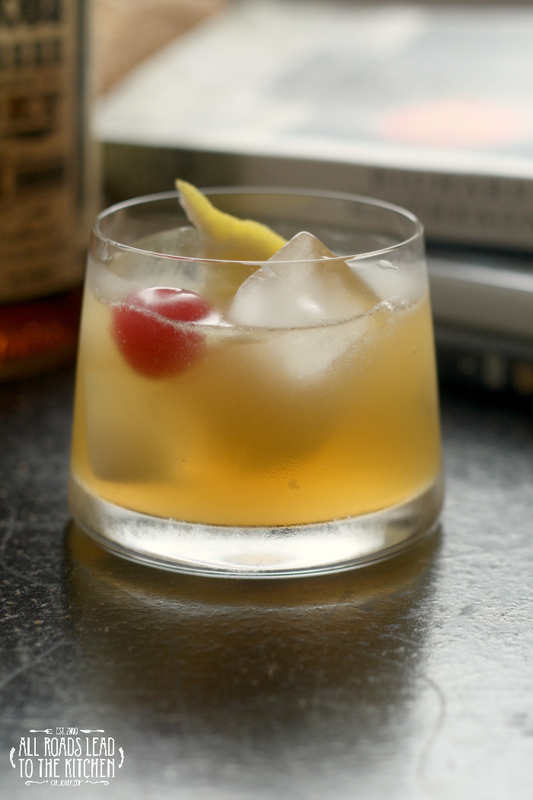 Fill a cocktail shaker halfway with ice and add the whiskey, simple syrup, and lemon juice. Shake until cold. Strain into a rocks glass over ice. 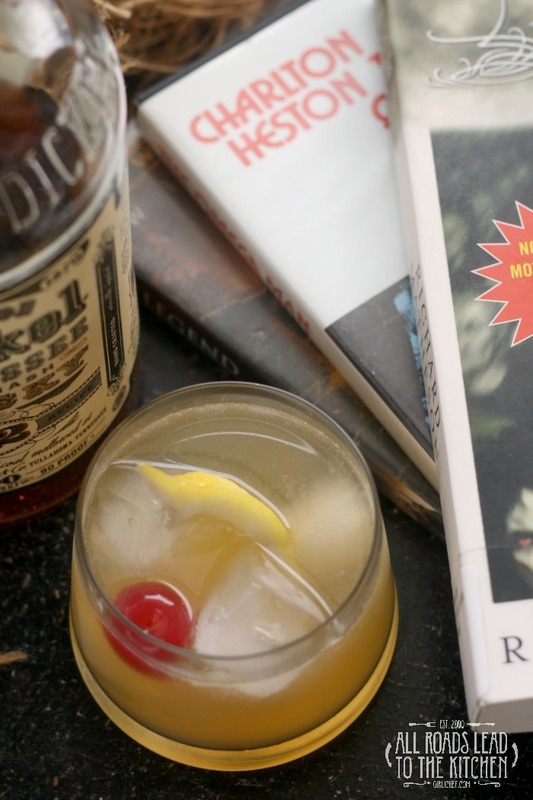 Garnish with the lemon wedge and cherry. This month's assignment was I Am Legend (the book) by Richard Matheson and The Omega Man (movie). 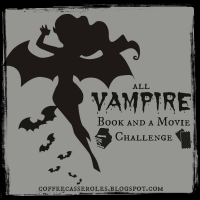 If you'd like to join the discussion next month, we'll be reading Vampires by John Steakley and watching John Carpenter's Vampires, and our posting date will be Sunday, April 24th. Until then, let me know if you'd read this book and/or seen the movie - and what you thought about either. Also, be sure to check out Kimberly's post over at Coffee and Casseroles to see her perspective and thoughts on this book and movie!